commented on "Large and Dangerous Rocket Ships - Feb 1 2015 Orini (Waikato). 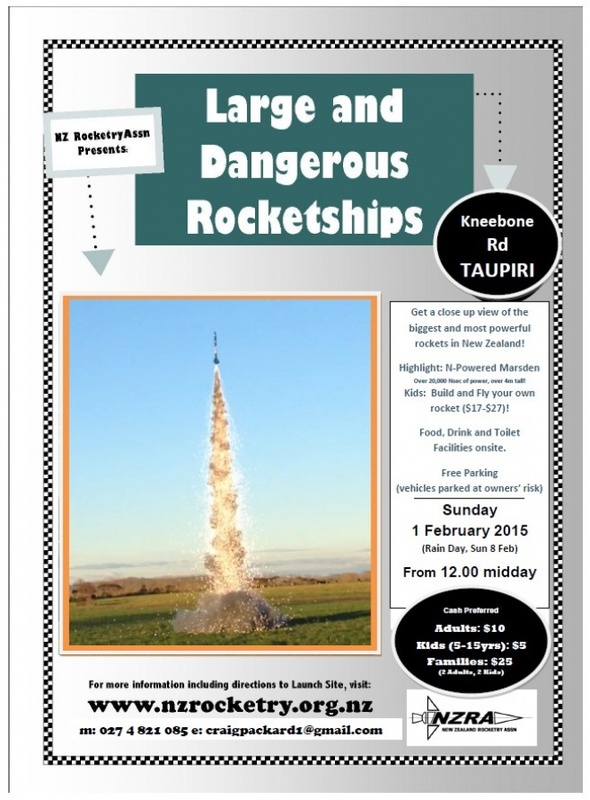 ..."
Large and Dangerous Rocket Ships - Feb 1 2015 Orini (Waikato). Kids can build and fly their own rocket! Refer to attached flyer for more details..